Dear Bangladeshis! 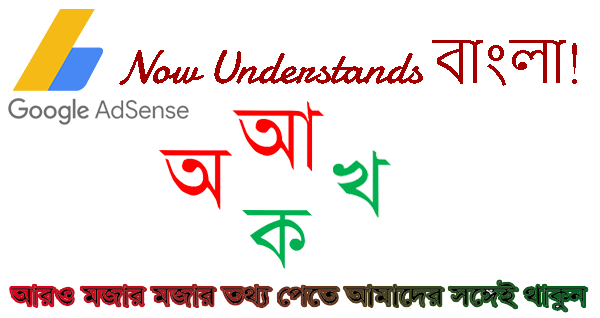 If you have an Account with Google AdSense then probably you got a message last month - AdSense now understands Bengali that means you can publish AdSense Ads on your Bengali blog or website and start earning. It's really a great news for webmasters who publishes contents in Bengali . . . It's been more than a decade since AdSense started their Journey. Google AdSense is a worldwide advertising platform that supports both the publishers and the advertisers. Depending on the market trend AdSense is stretching its range. Inclusion of new languages, Ad formats and Sizes is a part of routine development of AdSense. Now the publishers 0f 41 languages can monetize their contents using Google AdSense. Who are the Actual Gainer? I think the publishers of my country (Bangladesh) are the actual gainers. There are more than 150 million people whose primary language is Bengali. And there are more than thousand publishers who generates Bengali contents. Besides Bengali is one of the prime languages in some parts of India i.e. West Bengal, Tripura, Assam, Jharkhand etc. Around 10% of Indian people talk Bengali. So the publishers of these areas will also be benefited by the inclusion of new language in AdSense. And I feel really unlucky that I've no Bengali site yet! Cause when I started blogging AdSense didn't understand Bengali that time. It's true that a large number of world population talk in Bengali. But it's not an International language and it's not well known worldwide. So catching visitors worldwide for Bengali contents is not that easy. But luckily there are millions of immigrants in different countries whose primary language is Bengali. So the publishers will get some International traffic for their contents. So the publishers it's time to leave. Wish you all for a better luck with mother tongue . . .